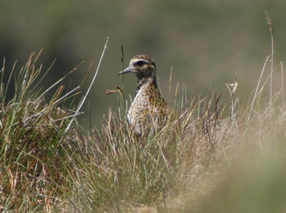 The Golden Plover (Pluvialis apricaria) is a rare breeding bird in Ireland, only nesting in the northwest counties of Ireland, including Wild Nephin Ballycroy National Park. They are wading birds and can be regularly seen in large flocks during the winter along the coast and inland wetlands throughout Ireland. They wade in shallow waters looking for food, mainly beetles and earthworms. Their Irish name Feadóg Bhuí, which means “yellow whistle”, describes their characteristic golden colour and their plaintive whistle-like call. Golden Plover were in past times a more common breeder in Ireland but have declined due to habitat loss, predation and other factors. The Merlin (Falco columbarius) is a shy and rare bird of prey that nests in forestry adjacent to open heath and bog where it hunts for smaller birds and insects to feed to its young. They are small (the male only slightly bigger than a blackbird) and quite low-flying and, therefore, can be quite difficult to spot. It’s worth keeping an eye out for them if you’re near forestry during the breeding season though (April – June). A sign to look for are ‘kill posts’ where the Merlin plucks the feathers from its prey (smaller birds) before taking it back to the nest – look for prominent hummocks or boulders near forestry that might be used for this. 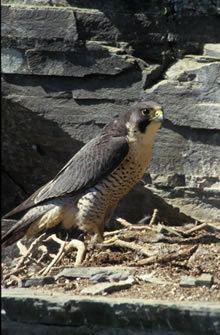 The Peregrine (Falco peregrinus) is a bird of prey which nests high in the cliffs above the corrie lakes in the Park. 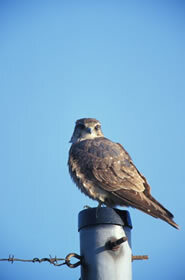 This falcon is capable of catching pigeons and ducks in flight. It is recorded as the fastest living creature on earth reaching speeds in excess of 200km an hour as it dives down upon its prey. The Peregrine Falcon very nearly became extinct in Ireland due to insecticides weakening the shells of their eggs, but since the introduction of a ban on the insecticide responsible, Peregrines have made a dramatic recovery across the country. 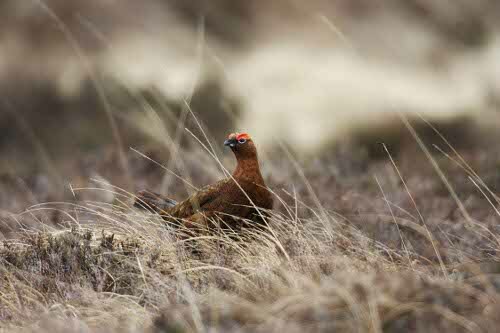 Red Grouse (Lagopus lagopus scoticus) is a ground nesting bird which breeds in the National Park. They are almost completely dependent on heather plants for food and shelter. Their association with heather earned them the Irish name Cearc Fhraoigh, which means “hen of the heather”. They normally stay under cover of heather but can burst into flight quite spectacularly if you happen to walk too close to them. The male birds have a striking red ‘comb’ above their eyes which is visible in the photo below. In the event that you don’t see one, you may still come across their distinct droppings which will confirm their presence. Red Grouse numbers across Ireland have been declining steadily over time due to loss of habitat, predation and other factors. 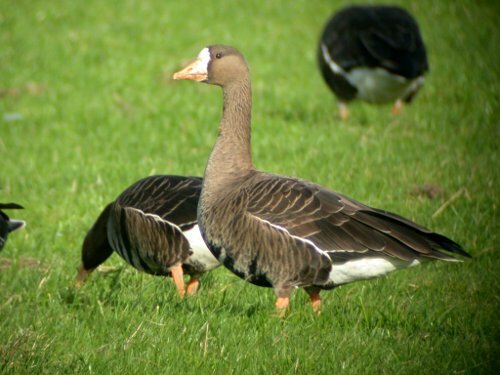 Half of the world’s population of the Greenland White-fronted Goose (Anser albifrons flavirostris) migrates from Greenland to overwinter in Ireland. They are called ‘white-fronted’ because of the identifying white patch around the beaks of adults which you can see in the images below. 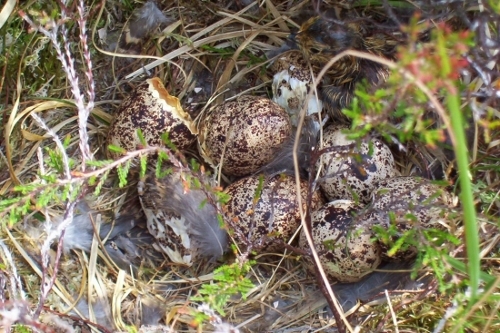 A small flock spends the winter in the National Park foraging in the wetter parts of the bog where they can pull up nutritious roots with their beaks. They are very sensitive to disturbance and will only forage for food in the most remote areas of the Park. They need to eat a substantial amount to build up enough strength for the 3,200km flight back to Greenland where they breed. 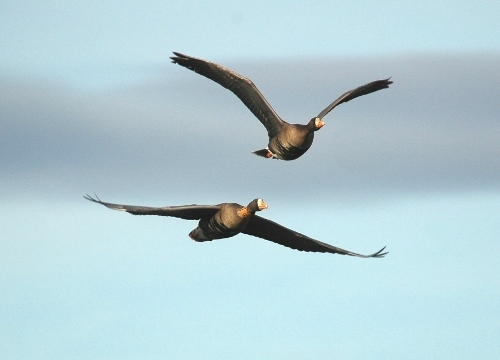 Ireland’s Greenland White-fronted Goose population is declining. Small flocks, such as the one which comes to Wild Nephin Ballycroy National Park, are particularly vulnerable. It is believed that another goose, the Canada Goose (Branta canadensis), is out-competing the White-fronted Goose for prime breeding locations in Greenland. • Internationally Important – Red Data Book. 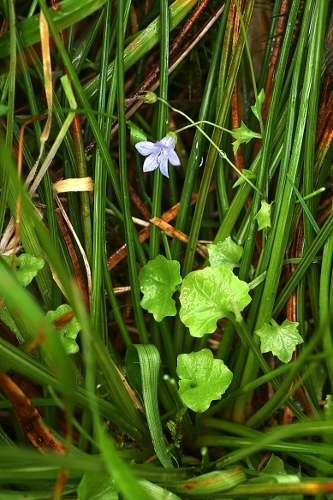 The Ivy-leaved Bellflower (Wahlenbergia hederacea) has delicate, hairless, creeping stems and small, pale-blue, veined, bell-shaped flowers. Its green leaves have the same shape as Ivy leaves. This flower is quite rare across Ireland and is only found in County Mayo along the riverbanks of the National Park. The Marsh Saxifrage (Saxifraga hirculus) is a very rare yellow flower which grows in nutrient rich wet flushes (areas where there is seepage of water from the ground). 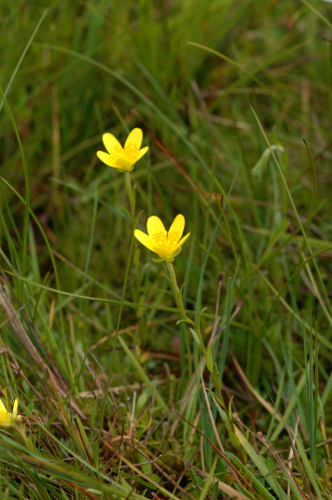 There are only eight known populations of this flower in Ireland and all are located in County Mayo. 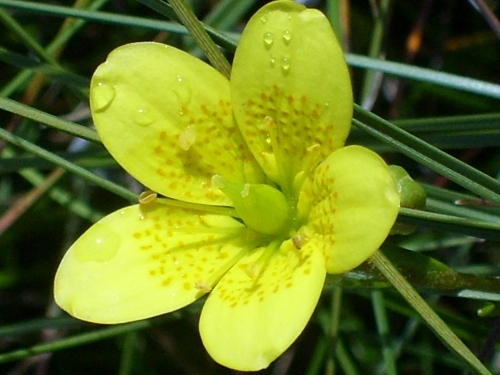 It is a beautiful flower with bright yellow petals with red spots at the base. It flowers from July to September and adds a splash of colour to the bog. The decline of this species is believed to be due to the drainage and exploitation of its peatland habitat. • Endangered – Red Data Book. 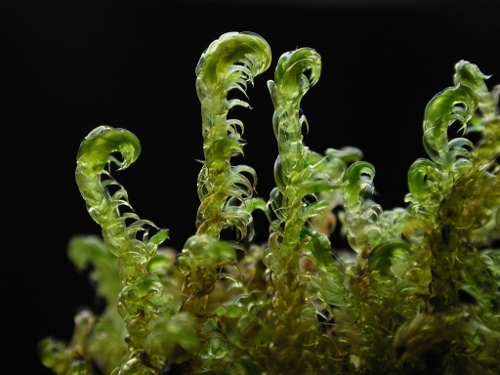 The Shining Sickle Moss (Drepanocladus vernicosus) is a green moss with a characteristic sickle or hook shape. The moss grows in flushes and fens where it’s not too acidic or alkaline. It particularly likes domed springheads, where alkaline water breaks through acidic peat, or areas where alkaline flushes spread onto flushed, acidic ground. Ireland is regarded the stronghold of Otter (Lutra lutra) in Western Europe. 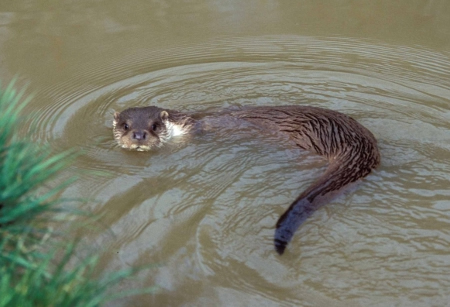 Otters travel up the rivers of the National Park in search of salmon, trout and eels. They can be difficult to spot and it is often easier to find out if they are frequenting a river by searching for their spraint (droppings). Otters will often leave their spraint on prominent boulders along a river to mark their territory and the spraint, composed of fish bones, has a distinctly fishy smell. The Irish Hare (Lepidus timidus hibernicus) is a common sight in the Park. If disturbed, it uses its long powerful hind legs to propel itself away at high speed, often splashing the surface water of the bog high into the air as it races away. 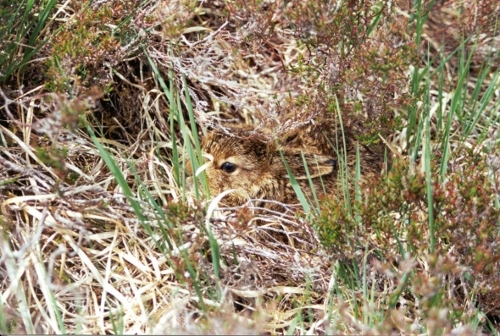 The Irish Hare is unique to Ireland in that it has adapted to the relatively snowless winters by retaining its brown coat during the winter, whereas in Scotland the hare turns white to camouflage itself in the snowy conditions. 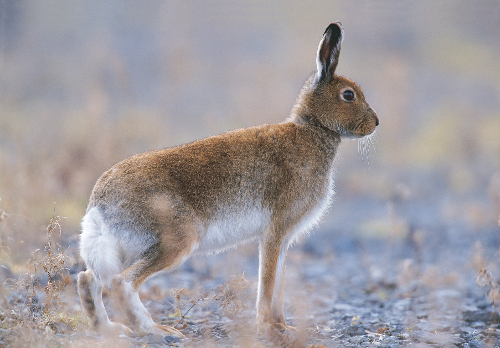 The Irish name for the Hare, Giorria, derives from “Gearr Fia” meaning “the short deer” – a very short deer indeed! While the Irish Hare is considered widespread and common in Ireland, in other parts of Europe, such as the alpine regions of Germany, Italy and France, it is regarded as threatened. Hare populations can vary dramatically from year to year but it is believed that there has been a long-term decline overall. 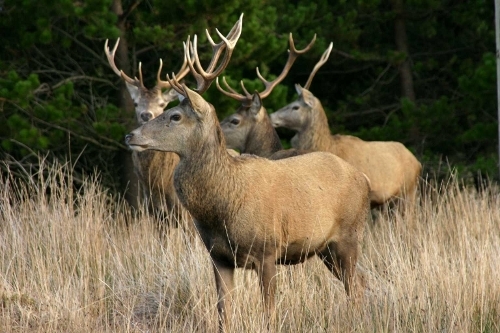 Red Deer (Cervus elaphus) is the largest land mammal in Ireland. They once roamed freely across the Nephin Mountains but were hunted to extinction locally in the 19th Century. They are beginning to become a feature of the mountains again after Red Deer of farmed origin were introduced into the north Mayo area. The best time to see them is at dawn or dusk as they generally stay under the cover of forest during the day. You can also hear them during the rut (the breeding season) in Autumn when the stags can be heard roaring to attract females. The black and white striped face of the Badger (Meles meles) is normally associated with the hedgerows and woodlands of lowlands but they are also surprisingly common in upland areas such as the Nephin Mountains. 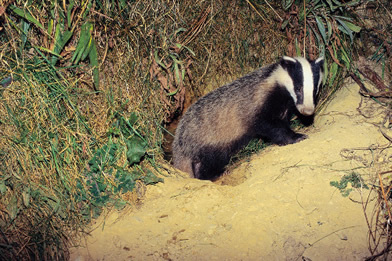 Badgers being nocturnal (active at night) are difficult to observe but you may spot their tracks in soft ground. Their tracks are quite distinct due to their extra long claws which they use for burrowing out their setts. You may also spot a sett in the Park. This may appear to be just be a large hole in the ground but the excavated burrowings of the badger at the mouth of the hole will identify it as a Badger sett. Atlantic Salmon (Salmo salar) spawns in the shallow gravel beds of the rivers within the National Park. After spending some time as juveniles in the rivers they eventually migrate out to the saltwaters of the open Atlantic ocean where they continue to grow in size. When they are ready to breed, their innate homing instinct brings them back to the very same river in which they spawned to repeat the breeding cycle. 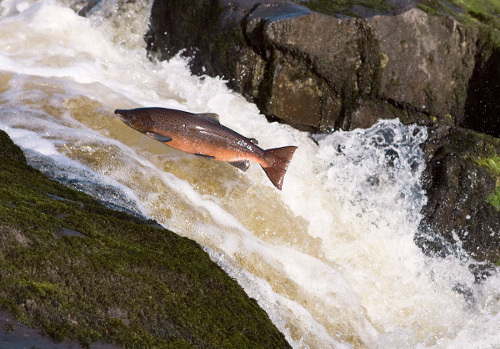 If you’re lucky you may spot a Salmon leaping up over a weir on its way upstream.